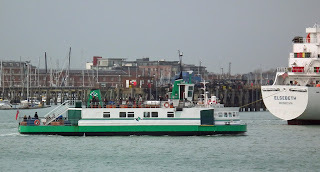 An unlikely tug? Gosport Ferries' Portsmouth Queen crosses Portsmouth Harbour 20 December 2011. 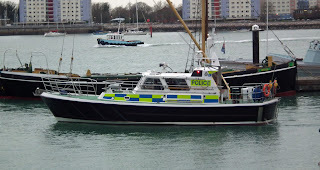 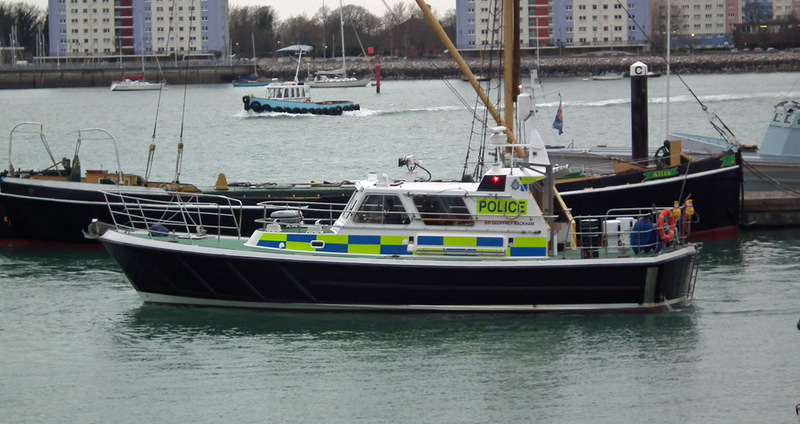 MOD police launch Sir Geoffrey Rackham inspects Gunwharf Quays Marina with barge Alice and tug Jack James in the background 20 December 2011.